Along the Rockies and the Pacific coastline, on a small shared island, the United Kingdom and United States turned a small land dispute into a heated, full-fledged confrontation. Wikimedia CommonsSan Juan Island, where the great Pig War of 1859 took place. Land disputes were relatively common in North America in the 19th century. With explorers pushing into new territories, boundary disputes between nations were bound to come up. The Oregon Treaty was devised to clear up one such dispute, between America and Britain, along the Rockies and the Pacific coastline, at the border of Oregon and what is now Canada. The treaty split the land fairly evenly at the 49th parallel west, with one exception. Confusion and disagreement over what constituted the middle of the San Juan Channel led to both countries claiming sovereignty of San Juan Island. For 13 years, both British and American citizens lived on the island, with little animosity. The British set up the Hudson’s Bay Company, a successful salmon curing and sheep ranching company, on the island, while Americans settled on the land and farmed. It wasn’t until 1849 that the boundary dispute started to cause trouble, and it was all set off by a pig. On June 15, an American farmer named Lyman Cutlar saw the pig eating his potatoes on his land and shot it. It turned out the pig belonged to a British employee of the Hudson’s Bay Company, Charles Griffin, who became angry at the news that his animal had been shot by an American. He reported Cutlar’s crimes to the British authorities, who threatened to arrest him. U.S. National Archives /span>Affadavit of Lyman Cutlar. The other Americans rallied around Cutlar, and devised a petition to bring in U.S. military protection for him. 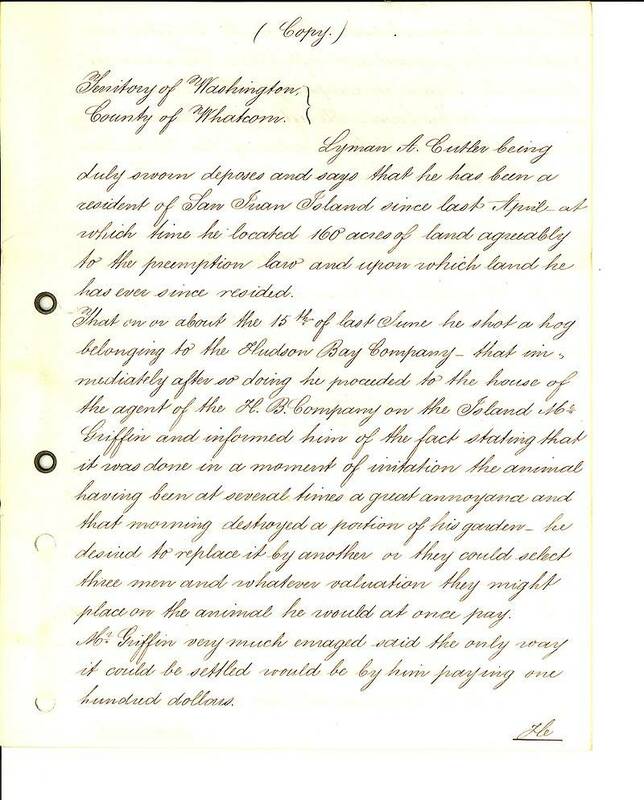 General William S. Harney, a commander of the Department of Oregon with a strong anti-British bias, received this petition and dispatched 66 American soldiers to San Juan Island for Cutlar’s protection. The British, not taking kindly to this show of aggression, retaliated by sending three warships to the area. The result was a brief standoff, with both sides adding more firepower to their side, until there were at least five British warships and over 400 American soldiers with cannons stationed at the ready. 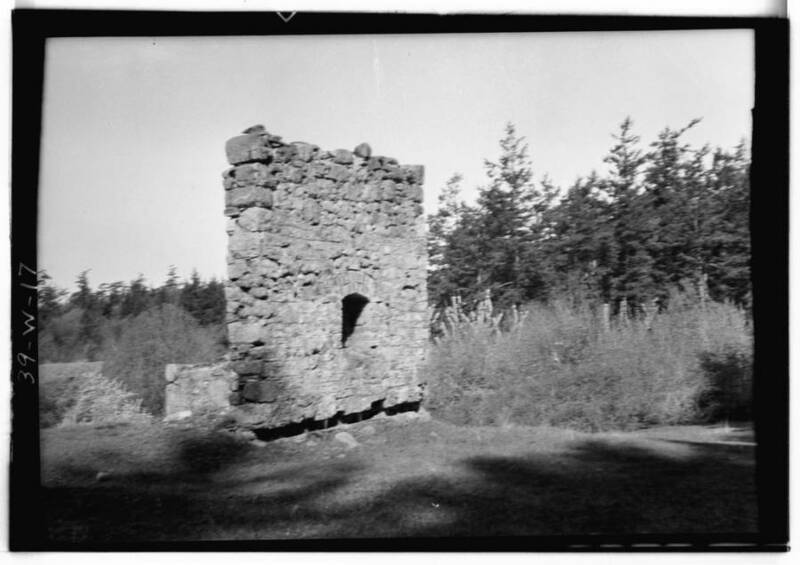 Wikimedia CommonsRemains of a British Camp from the Pig War on San Juan Island. Once officials in both London and Washington heard about the conflict, they stepped in to intervene. To quickly de-escalate the situation, they limited the number of residents to 100 people on both sides. They also gave the top half to the British and the southern half to the Americans until a formal agreement regarding sovereignty could be reached. 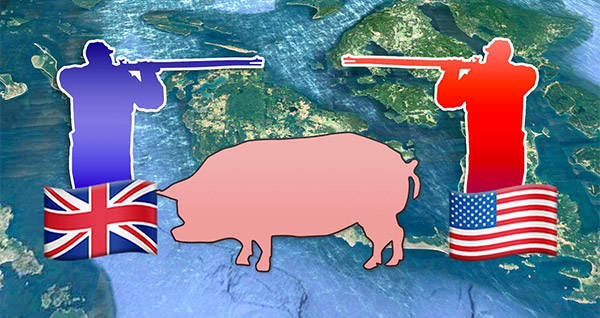 In 1872, Germany officially arbitrated the disagreement, and the land was finally granted to America, but the island is still commemorated as the place where America and the United Kingdom almost resorted to full-fledged war over the death of a pig. Enjoy this article on the Pig War of 1859? Read about Calvin Graham, World War 2’s youngest soldier. 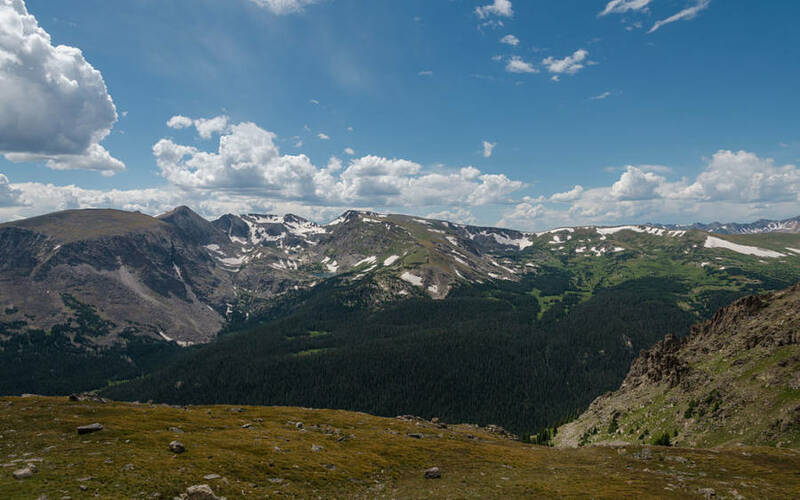 Then take a look at 48 snapshots of life in the real Wild West.